At Roland Park, being a smaller congregation affords us the opportunity to be flexible- to be unafraid to try new things, to stretch ourselves to the limits of our imaginations. 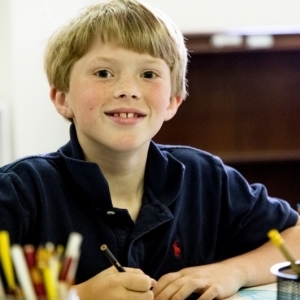 Our Sunday School program strives to address the learning and formation of all of our members in fresh ways. On a typical Sunday morning, we hold an Education for All ages hour from 9-10am. During this time we break into groups by age. There are classes for nursery age, primary age (grades k-2), elementary age (grades 3-5), middle school and upper school ages, as well as an adult education class. Our students’ curricula centers around following the same narrative lectionary that we are following in worship, with developmentally appropriate lessons for each age specifically prepared for our congregation by an experienced educator and pastor. Throughout their classes, the children will experience God’s story through many channels: story, music, activity and service. We then gather for worship at 10:30 AM as one congregation, all ages together. We strive to make worship meaningful for all in attendance. Often, we include interactive worship stations for the whole congregation, as a way to actively engage different types of learners in worship. During the service, there may be a “Time For All God’s Children”, when the youngest among us are invited forward for a special talk about the day’s theme or the scripture reading. After this time, students from Kindergarten to 2nd Grade briefly leave the sanctuary and are given their own age-appropriate way to experience God and learn about the purpose of worship. Other children are invited to choose a worship aid (which include coloring materials, special puzzles and games relating to the day, “fidgets”- things to keep hands busy so minds can be open and focused, art supplies, storybooks, and Children’s Bibles) to take back to their seats. We believe that the best way for youngsters to find their place in church is through worshiping with their church family. At RPPC, our focus is on the formation of our members and friends, no matter where they’ve come from, where they’re going, their age, size, shape, or style. We delight in meeting everyone where they are, and sharing our gifts as we learn what gifts they have to share. If you would like more information about our Formation Programs, please contact Pastor Mark Hanna at pastor@rolandparkchurch.org. Shayla D. Redfearn is a Baltimore City native with a passion for children and education. Prior to coming to RPPC, Shayla served as a Youth and Young Adult Pastor at New Mt. Zion Ministries from 2012-2017. In this role, she created biblical curriculum for most of the church, and started a new and improved Bible Study class that focused on scriptural application replacing the church’s old method of scriptural memorization. Using topical study as a strategy, the class grew and is now one of the most attended group sessions at the church. 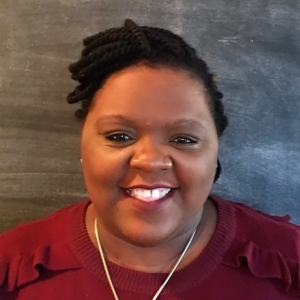 Shayla is often described as a trailblazer, having been the first female of her church to be ordained as both a minister and Pastor and then later given a role in teaching. After spending three years serving as a member of AmeriCorps, Shayla knew that she wanted to dedicate her life to serving others. Shayla currently works as the Director of At Jacob’s Well Inc., a nonprofit organization that provides housing to homeless persons suffering from various mental illnesses. Shayla has a passion for the underserved and rejected, which is fueled and inspired by her love for the scriptures and the many verses encouraging one to be both caring and giving. Her love for the scriptures can be traced back to childhood when she would often prefer to pack her Bible in her backpack instead of packing her required books. To Shayla, the Bible is a required book! Shayla is currently pursuing a Doctorate in Leadership from Regent University. She received her Masters in Law from Regent University in May 2017 and was awarded dual bachelor degrees in Psychology and Criminal Justice from Coppin State University in May 2013. Shayla’s favorite color is pink and when she is not reading or enjoying the outdoors, she enjoys playing with her collection of remote control cars. Shayla can also be described by her three favorite things: Law, Leadership and Lipstick. If you have questions for Shayla, please email her at dce@rolandparkchurch.org.